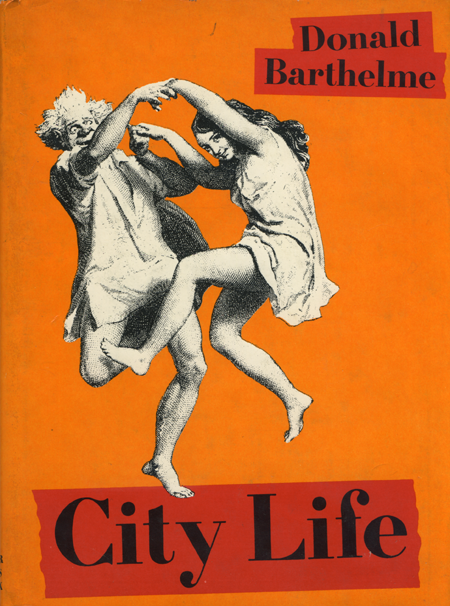 Some years ago, when contemplating the life I would lead in New York after graduating from a college set in the fields and orchards of Western Mass, I would stare at the jacket of Donald Barthelme’s collection, City Life. A couple in nightdress, he older and somewhat delirious, she younger and game for the dance, seemed to sum up how much better life would be in the big city. Yesterday was Bloomsday, which celebrates unquestionably the greatest love song to a city ever written, and of course it was fitting that Kevin Morby released his magisterial new album, City Music. For those late to this story, Morby was the bass player in Woods, and co-bandleader of The Babies, and beginning in 2013, a solo artist whose powers increase record-by-record. His paean to city life is as heartfelt as Joyce’s, and the respect he pays to certain moments in modern urban history resonates deeply with me. The title track of last summer’s fine sophomore album, Singing Saw, invoked the magic of Talking Heads’ More Songs About Buildings And Food, and on City Music, the sometime-New Yorker invokes Television, Talking Heads, Garland Jeffreys, Lou Reed, and the Ramones, to name just a few of Fun City’s champions. Sometimes it’s easy to forget that Dylan’s a New York artist too. Morby doesn’t. In a lovely NPR piece published yesterday, Morby walks us through the album song by song. It’s worth a read, revealing as it does how this young artist absorbs influences and uses them as inspiration. He cites “Marquee Moon,” as the source of the title track’s guitar sound, and it’s as fun to listen to as seeing Wilco cover the original by seminal New Yorkers Television. On Singing Saw, Morby had the benefit of Sam Cohen as producer and a guitarist whose lines take these completely unexpected left turns; the ensemble assembled on City Life is a congenial and accomplished band that you’d love to see live. Even on the slow songs, they swing. Morby’s voice isn’t particularly expressive, but his songwriting and storytelling more than make up for it, and his ambitions seem to be growing. On Singing Saw, songs like “Dorothy” and “I Have Been To The Mountain” were so strong that they masked weaker material elsewhere on an album that was pretty universally acclaimed, including in these here parts. There’s no such problem on City Music: every song, even the cover of the Germs’ “Caught In My Eye,” will make you want to play this album loud enough to bug the neighbors in your stifling apartment building. A year ago, when Morby was able to tell the story of how he picked up and moved from Kansas City to Brooklyn, landing a few weeks later in Woods — then and now, a highlight of modern New York bands — the notion of the Bright Lights, Big City luring him from the midwest placed his narrative in familiar terms. In City Life, he’s made it, he’s gone from the periphery to the center, like Dylan, like Jimmy Reed of Dunleith, Mississippi, who wrote the song, and Jay McInerney of Hartford, Connecticut, who wrote the book. Thank Heaven young Kevin Morby got on that bus. This entry was posted on June 17, 2017 at 3:56 pm and is filed under Music with tags "City Music", "Native Intelligence", "Singing Saw", Kevin Morby, Raymond Sokolov, The Babies, Woods. You can follow any responses to this entry through the RSS 2.0 feed. You can leave a response, or trackback from your own site.